Deck includes 52 cards and 2 Jokers. The excellent COPAG quality really shows in these cards,they come in a black finish witrh red and silver detailing. The only difference is the contemporary design on the card faces. 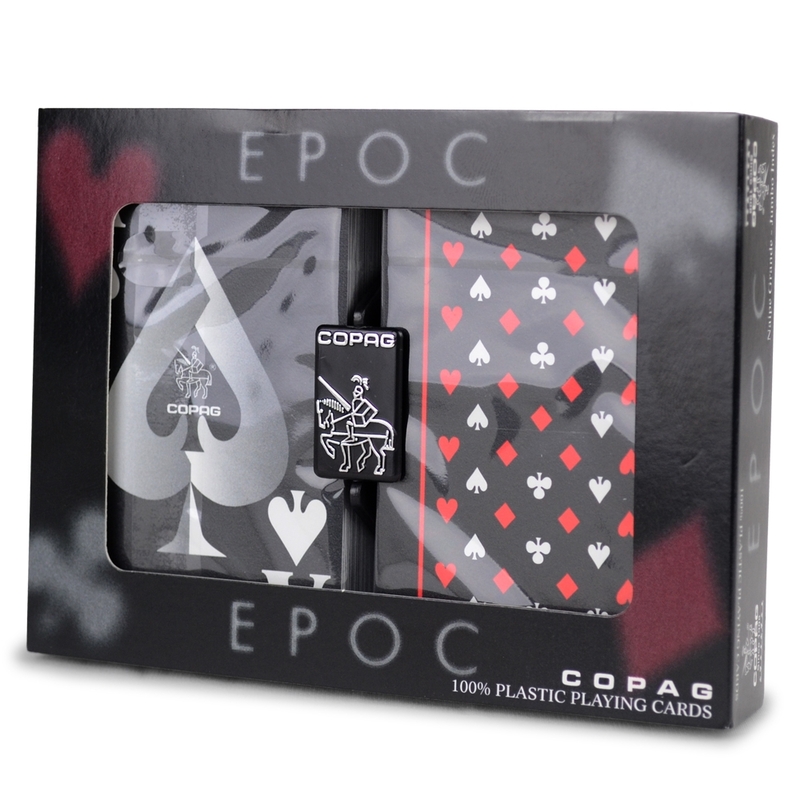 Replacing the usual King, Queen and Jack faces are abstract images and the normal suited cards have bold designs showing their suits.Copag plastic playing cards have high international quality, long durability, soft touch they come in a black finish witrh red and silver detailing these fantastic looking cards bring a change to the traditional games they are used for. The name EPOC, derives from the four initial letters of the suits, as spelled in Portuguese, E from Espadas (Spades), P from Paus (Clubs), O from Ouros (Diamonds), and C from Copas (Hearts).